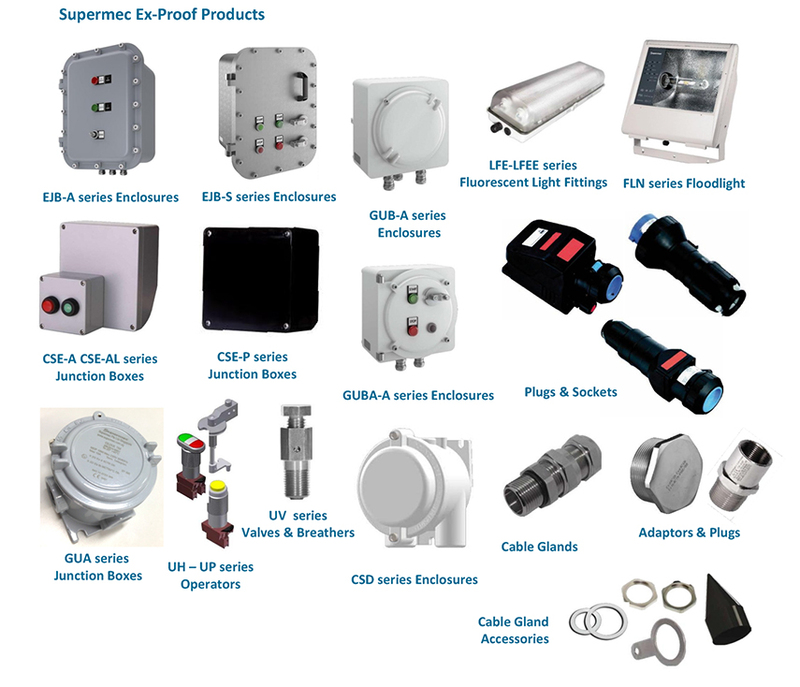 From lighting systems to ATEX-approved explosion-proof panels and control equipment, Supermec is competent to provide a whole range of complete solutions for your electrical needs, especially in hazardous areas for both onshore and offshore requirements. Our full range of Explosion Proof Products provides for the widest possible range of applications from one single vendor and total system integrator. Explosion-proof panels with variable speed drives, just to name a few. On top of providing standard ATEX panels such as simple distribution or control panels, Supermec specializes in providing high quality customized solutions according to your needs. We work closely with you to provide the most cost effective customized solution for complex control panels with display or modular solutions. The high flexibility and extensive services offered by Supermec, combined with our decades of experience, gels together to provide you with highly optimized customer-specific equipment and device combinations and systems. Supermec’s focus is on OEM Panels where we excel in layout and design optimization, while meeting your requirements, and in compliance with Ex-proof standards such as IEC 60079 series explosive atmosphere standards. As OEM partners, Supermec provides you with high quality and cost efficient production for your electrical, automation, communication, monitoring, and control systems.